As a cooperative, we rely on our parents to do the heavy lifting to make the school run. From curriculum needs, to building maintenance, to fundraising, well, you get the idea. We believe the community determines how good we can be and it always brings a smile to our faces when we connect with those who believe in the Montessori method and philosophy, those who believe that children who get to explore those things that interest them develop an appreciation of the world around them. Watching our students at the NRGLC thrive in this environment is a gift unto itself, but it would not be possible without the support of people like you. ​By shopping on Amazon through our Amazon Smile page. Just click on the Amazon Smile image below. 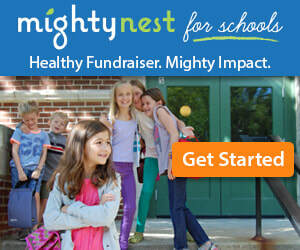 By signing up and shopping at the Mighty Nest site. Just type in our zip code and select the NRGLC when you sign up.